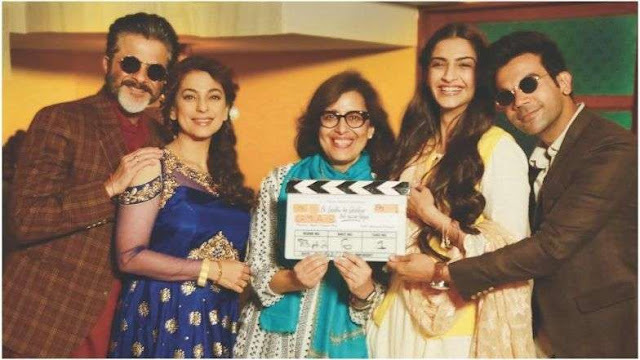 Ek Ladki Ko Dekha Toh Aisa Laga prediction: Ek Ladki Ko Dekha Toh Aisa Laga, starring Anil Kapoor, Sonam Kapoor, Juhi Chawla and Rajkummar Rao among others, is expected to open with a decent collection. Shelly Chopra Dhar directorial Ek Ladki Ko Dekha Toh Aisa Laga releases this Friday. The film has the father-daughter duo of Anil and Sonam Kapoor coming together on screen for the first time. Also, the film brings back Kapoor with Juhi Chawla with whom he has done movies like Loafer, Benam Badshah, Salaam-e-Ishq and others. Being presented by Vidhu Vinod Chopra Films, it is expected to open with a decent collection.